Matcha contains theophylline and caffeine which increase energy expenditure during rest. This combination has also been shown to prevent the natural adaptive fall in resting energy expenditure that comes about as a result of diet restriction. So if you’ve ever been on a diet and found that you’ve not lost the weight that you were hoping to, matcha could provide you with that extra boost that you need. Matcha is high in catechin polyphenols which may boost metabolism by promoting fat oxidisation and increasing energy expenditure. A study published in the American Journal of Clinical Nutrition found that the thermogenic properties and promotion of fat oxidation in those consuming green tea were significantly beyond those that could be explained from the tea’s caffeine content alone. In theory the caffeine in matcha enters the body and forces it to utilise as much fat as possible. This slows down the body’s depletion of glycogen by as much as 50% for the first fifteen minutes of exercise and forces it to burn more fat. As a result, you can train harder and for longer, which is why the IOC saw fit to ban caffeine in 2000. Green tea contains the stimulants caffeine, theobromine, theophylline and the amino acid L-theanine. Research from The University of Maryland indicates that L-theanine has a calming effect on the central nervous system and this, combined with the caffeine, may help you eat less. Further research has found people who drank green tea as opposed to water when consuming their favourite food experienced less desire to eat more. Many of our customers report matcha has helped them lose weight. 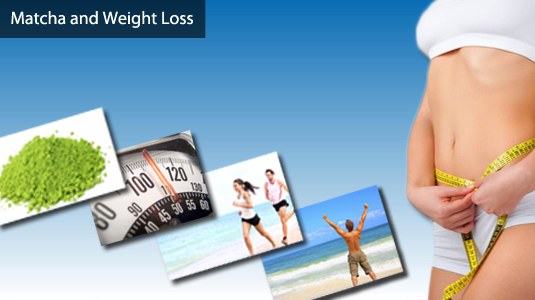 It helps would also be beneficial to look more closely at your daily diet, exercise routine and overall calorie intake to ensure that you have the best fighting chance of achieving your target weight. This recipe is so packed with lean protein, good fats and added punch of the metabolism boosting and energising properties of matcha, that it’s sure to make a great start to anyone’s morning! Matcha worked for Matcha Factory director Antony. 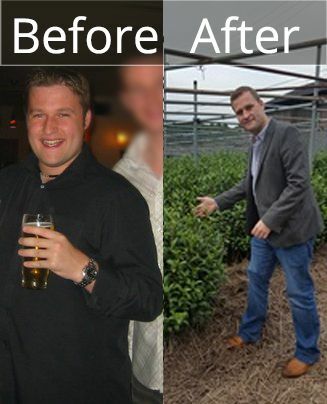 Antony lost 24 kg (3 stone) and keep it off! He lost the weight drinking 3 cups of matcha a day and adopting a healthier lifestyle. Antony feels much of his weight-loss success is down to matcha he said, "Matcha worked for me and I saw it work for my friends and family too. I knew people who were taking matcha for the health benefits and it's great for that but, the main feedback I was getting was one about weight-loss".